CHINA - 18 March 2019 - SUSE® today announced the creation of the largest independent open source company following the completion of SUSE's acquisition by growth investor EQT from Micro Focus. With its ongoing momentum, portfolio expansion and successful execution in the marketplace, as a standalone business SUSE is now even better positioned to focus on the needs of customers and partners as a leading provider of enterprise-grade, open source software-defined infrastructure and application delivery solutions that enable customer workloads anywhere -- on premise, hybrid and multi-cloud -- with exceptional service, value and flexibility. The newly independent SUSE has expanded its executive team, adding new leadership roles and experience to foster its continued momentum into this next stage of corporate development. Enrica Angelone has been named to the new post of chief financial officer, and Sander Huyts is SUSE's new chief operations officer. Thomas Di Giacomo, formerly chief technology officer for SUSE, is now president of Engineering, Product and Innovation. All three report to SUSE CEO Nils Brauckmann. "Current IT trends make it clear that open source has become more important in the enterprise than ever before," Brauckmann said. "We believe that makes our status as a truly independent open source company more important than ever. Our genuinely open, open source solutions, flexible business practices, lack of enforced vendor lock-in and exceptional service are more critical to customer and partner organizations, and our independence coincides with our single-minded focus on delivering what is best for them. Our ability to consistently meet these market demands creates a cycle of success, momentum and growth that allows SUSE to continue to deliver the innovation customers need to achieve their digital transformation goals and realize the hybrid and multi-cloud workload management they require to power their own continuous innovation, competitiveness and growth." SUSE's transition is timely as containers are enabling new levels of agility and the need for digital transformation built on open source software-defined infrastructure and application delivery technologies is growing. SUSE's heritage in open source software, strong brand and array of innovative solutions, including container management, ideally position it to capitalize on this market dynamic, creating tremendous value for customers and partners. EQT's backing and SUSE's independent status will enable the company's continued expansion as advanced innovation drives growth in SUSE's core business as well as in emerging technologies, both organically and through add-on acquisitions. Al Gillen, group vice president, Software Development and Open Source, IDC, said, "SUSE's return to the role of an independent open source software company comes at a pivotal point in the industry. Open source software is the favored way to build new solutions today and is irreplaceable as the foundation for most public cloud services. As one of the industry's largest purely open source software companies, SUSE's independence will benefit customers as the company builds on its heritage of technical excellence, value-driven partnerships and community engagement to deliver timely technology solutions to the market." SUSE's expanded leadership team led by CEO Brauckmann will build on the rapid growth of the past eight years as the company continues to deliver and innovate based on current and future market requirements. As it has for more than 25 years, SUSE remains committed to an open source development and business model and to actively participating in communities and projects to bring open source innovation to the enterprise as high-quality, reliable and usable solutions. This truly open, open source model refers to the flexibility and freedom of choice provided to customers and partners to create best-of-breed solutions that combine SUSE technologies with other products and technologies in their IT landscape through open standards and at different levels in their architecture, without forcing a locked-in stack. This focus on openness is embedded in SUSE's culture, differentiates it in the marketplace and has been key to its success. Johannes Reichel, partner at EQT, said, "SUSE's market presence, strong leadership, focus on customer success and ability to partner successfully have been and will continue to be crucial as SUSE enters this next phase of its evolution. It is in the right place at the right time with the right resources to help transform the way organizations around the world do business." As an independent, trusted partner for enterprise digital transformation, SUSE delivers software solutions, support and services through a multinational organization and an enabled, qualified partner ecosystem underpinned by secure enterprise-grade technologies. 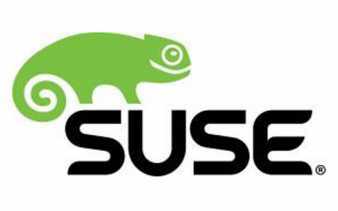 SUSE is currently involved in more than 100 open source projects, supported by employees around the world. The company continues to grow as an independent vendor of open source software as it helps organizations of all kinds transform and compete in today's business environment. For more information, visit www.suse.com.